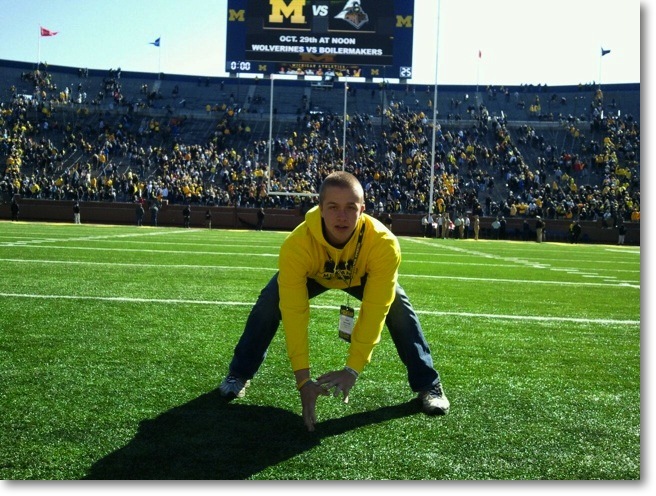 Hey, whadayaknow, we added a long-snapper to the 2013 recruiting board. 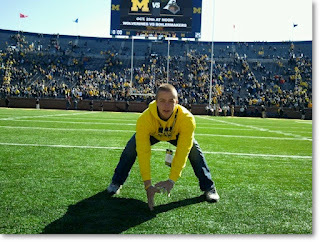 So, we're offering full rides to long-snappers now? Mmmkay. I trust this coaching staff knows what they're doing considering we have the unanimous #1 class in the country for 2013 so far. But it's a little odd that we were 20 members into a class that's expected to take about 24, it's only June, and we just offered a dedicated long-snapper a full scholarship. Typically a position like this would go to a preferred walk-on or greyshirt, but hey, I trust Hoke and company know what they're doing. But let's not kid ourselves, Sypniewski is the #2 long-snapper in the country according to Chris Rubio, a long-snapping guru who also rates Scott as a 5-star prospect. None of the sites like Scout or Rivals have ratings on this kid, but who can really blame them. I guess, though, that the argument could be made that if you're going to use 1 of your 85 scholarships on a long-snapper, get a good one. This kid is a good one [Link]. Sypniewski is just flat out fantastic! Ball is like a missile yet very easy to catch. Movement is flawless and he is snapping with ease. Looks like he is not even trying but, before you blink, the ball is right on your hip. Accuracy, consistency and speed are all excellent. A tad lighter on his feet could bump him up and I am being picky. Sypniewski is terrific and is snapping with a TON of confidence. I am fully expecting him to stick his chest out and dominate in Vegas. I'd call that a glowing review. But I also know nothing about long-snappers other than their one and only job is to get the ball back to the punter or holder as fast as possible. So if you can do that, you're golden. Nada. But given that the world has just discovered who Sypniewski is, not a surprise that the recruiting gurus know nothing about him. Hype video. Yes, a long-snapping hype video.